When partnering with our homeowners to design and build their new home – or renovate their existing one – we listen to their needs and the types of spaces they desire. Many of our homeowners seek assurance that their ideas work not only for them, but also appeal to a broader market. Let’s walk through a few concepts that enter our conversations on a regular basis. Life seems to move faster every year – and our homeowners are seeking more compact designs with high quality finishes. A solid design has the flexibility to accommodate the entire range of your activities. Innovative new materials provide a low maintenance and cost effective solution without sacrificing a high-end aesthetic appeal. 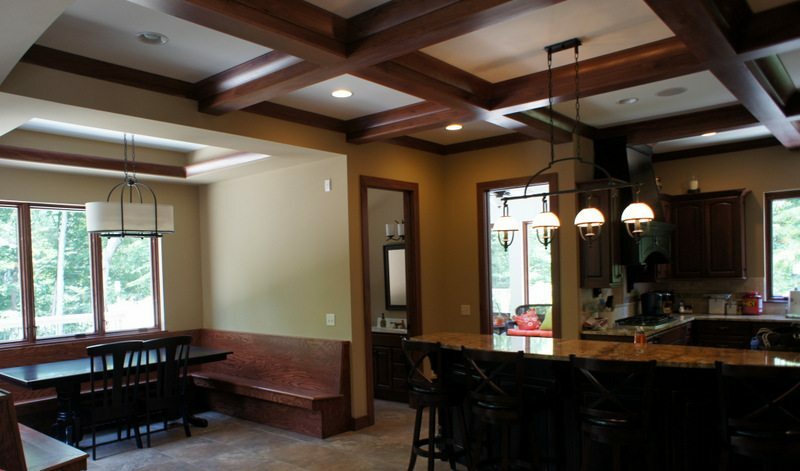 For homeowners that entertain formally, the designated dining room is non-negotiable and can be a stylish focal point. On the other hand, the move toward casual entertaining has many homeowners seeking open layouts. 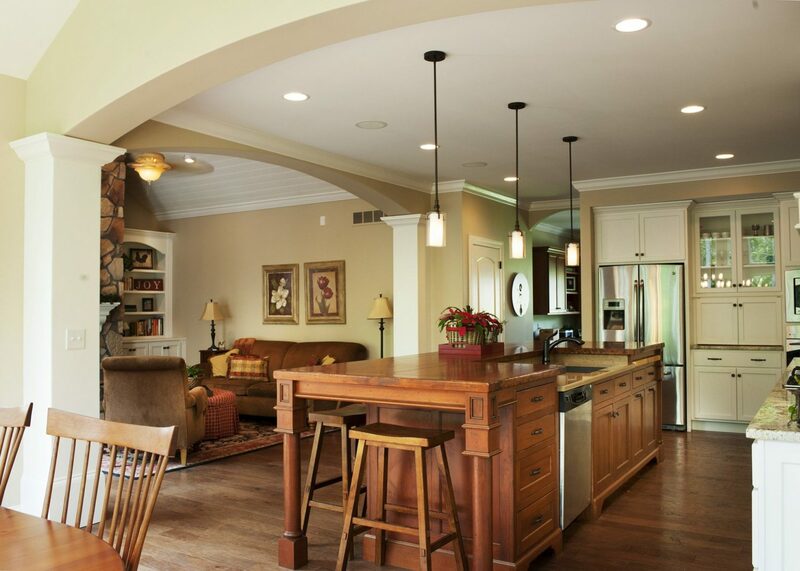 Spaces can retain definition with archways, beams and short walls. An efficient work triangle should be maintained in the kitchen while still allowing friends and family to gather nearby. The growth of open floor plans extends to the outdoors with covered patios and backyard gathering spaces planned into the flow and finish as primary spaces. At a cost that is normally less than indoor square footage, exterior spaces add significant room for friends and family to gather with a high degree of arrangement flexibility. As homeowners grow older, most prefer to stay in the comfort of their current home. Modifications such as widening doorways, installing blocking for grab bars and eliminating steps prepare for the day when mobility has lessened. Smart appliance placement and the installation of additional lighting are factors to be considered when renovating spaces with an eye to the future. Interesting finishes in key spots can raise the overall look of your home without breaking the budget. The select use of details like barn wood, copper accents, board and batten, glass, brick and metal break the monotony of standard drywall and trim. Almost every homeowner asks the following question: “Do I need a ________?” ending with “bathtub in the master”, “kitchen desk”, etc. The answer many times is “No.” It is good to have one bathtub, but it does not need to be in the Master. Wi-Fi networks and cell phones free us up to work in any room – even outside. During the planning phase, allow time to visualize your daily activities in your new space. 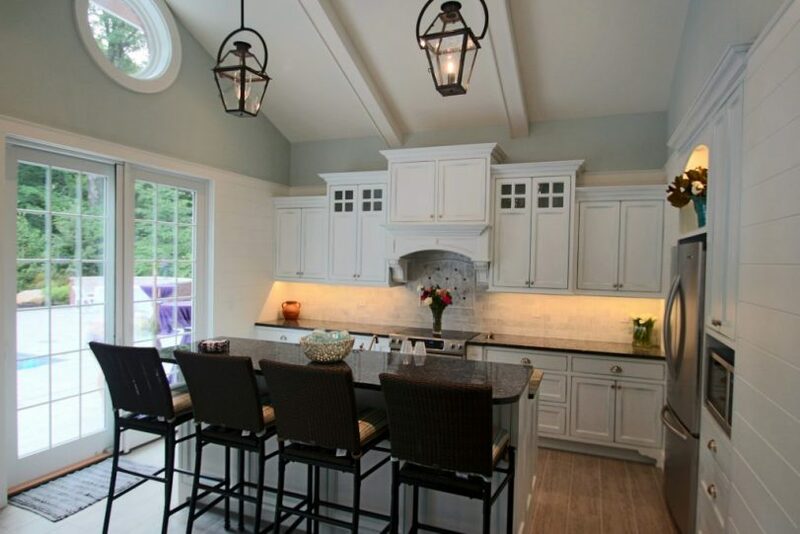 While it is reassuring to know that your home ideas have a broader appeal, the main point of building your custom home or doing a major renovation is to create a space that works for you and your lifestyle. The design and execution of a good plan helps you accomplish both.